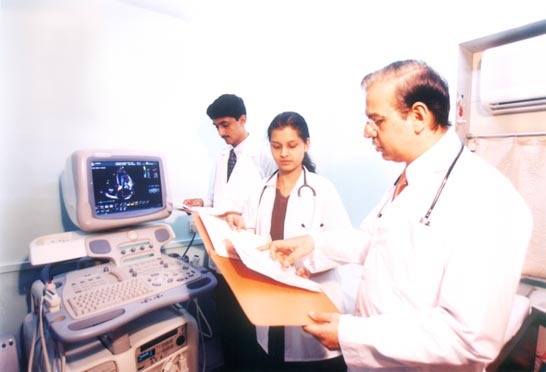 Since the inception of Krishna Cardiac Care Centre on May, 24, 1992, we have been dedicated to one goal: providing our patients with the best possible heart care available. Over the years, that dedication has led to the introduction of several new diagnostic and therapeutic techniques that have helped tens of thousands of patients. Today, our innovation continues and is just a part of our comprehensive approach to the diagnosis and treatment of cardiovascular disease. While we have improved our treatment over time, our dedication to our patients has remained a constant. That's why at Krishna Cardiac Care Centre you'll find more than a superior staff and advanced techniques - you'll find more heart. Our highly trained doctors in cardiovascular medicine are committed to providing sophisticated and compassionate cardiovascular care in a cost-effective manner. We invite you to browse this website. If you have questions and would like to speak to someone personally, please call us 91-22-24140837. Dr. Ashok Punjabi, a leading cardiologist in Mumbai, is Medical Director at Krishna Cardiac Care Centre and honorary cardiologist at the Lilavati Hospital & Research Centre, Bandra. 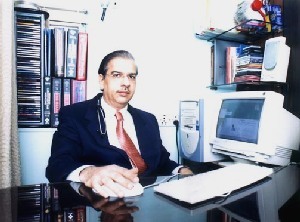 He is also associated with the Breach Candy Hospital & Research Centre as an Interventional Cardiologist.Dr. Punjabi has been a consulting cardiologist for the last 15 years in Mumbai. Earlier he was also attached to P. D. Hinduja National Hospital as an In house Staff Consultant. He also has behind him valuable teaching experience at his alma mater, Lokamanya Tilak Medical College and Hospital.